David Montpetit is an accomplished leader with proven ability to align strategy with day-to-day operations, and a comprehensive understanding of the rail transportation and port logistics industry. In his current position as president of Diadem Group Ltd., David works in the rail transportation and port logistics industry to improve efficiencies and reduce costs across the board. David uses a solution-based approach to achieve short and long-term service level agreements that maximize all commercial, contractual and legislated mechanisms to fully protect the shippers. As well, he ensures all supply chain efficiencies are maximized and fully utilized, including loading and unloading facilities. David’s abilities are underpinned by his 20+ years’ experience in project/sales management and contract negotiation/administration. In his most recent senior management position, David was Vice President of External Affairs and Logistics with Coalspur Mines Limited. He was responsible for directing the company’s internal and external communications activities, initiatives and strategies, as well as planning, negotiating and implementing strategies related to transportation access and operations of rail/port logistics. 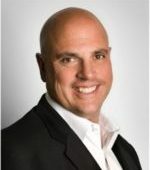 David has a proven history of being a highly effective ‘facilitator’ who builds trusting relationships and who can bridge the gaps between and among customers, subject matter experts, business and technical teams, local community stakeholders, provincial/federal governments, media and executives. Director of Operations, Sultran Ltd.
Greg Anderson joined Sultran and Pacific Coast Terminals in 2009 as Business Development Manager. His primary responsibility was to develop new business opportunities for both companies. In 2013, Greg was appointed Director of Operations for Sultran. Prior to joining Sultran and PCT, Greg spent three years at Shell Canada as Manager, Sulphur Supply & Operations, North America. He was accountable for the safe and cost effective supply, forming and transportation by pipeline, truck, rail and marine vessel of Shell’s approximately 4 million tonnes per year of sulphur, originating at plant operations throughout North America and destined for customers globally. Prior to Shell, Greg spent 26 years at Canadian Pacific Railway in Marketing & Sales and Business Development positions of increasing responsibility. In his last five years there, he was responsible for CP’s $800+ million per year coal and sulphur business. Chief Commercial Officer, Montem Resources Corp.
Bob Bell is a mining executive and independent consultant with extensive international experience marketing coking coal to the steel industry and energy coal to the power generation industry. He also has extensive experience in transportation including negotiation of major rail and port agreements, leading the logistics function in two large coal producers and arbitration of commercial disputes. Other focus areas included transportation strategy, marketing strategy development, major commercial agreement negotiations and corporate development. He is a former Director and Chair of the Board of Neptune Bulk Terminals (Canada) Ltd., a large coal, potash and agricultural product export terminal in Vancouver. From a coal industry perspective, Bob is past Chair of the Coal Association of Canada, sat on the Board of the Canadian Clean Power Coalition, and was a member of the Coal Industry Advisory Board to the International Energy Agency. Bob has been involved in transportation advocacy work for many years. This has included meeting with regulators and elected officials during his tenures with Teck and Luscar advocating for improved shipper protection. 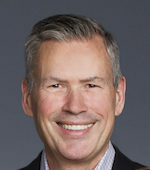 He appeared before the Competition Policy Review Panel to discuss the importance of greater competition in Canada’s rail industry and on two occasions appeared before the Rail Freight Service Review panel and supervised the work of others in appearances before regulators and elected officials. Bob was also actively involved with the Western Transportation Advisory Committee and Transport Canada’s Gateway Performance Table Bulk Committee. Bob’s education includes a degree in mining engineering from McGill University in Montreal, a master’s degree in business administration from Queen’s University in Kingston Ontario and the Directors Education Program (ICD.D) from the Rotman School of Management/Institute of Corporate Directors. His early career was spent in the Alberta Oilsands in engineering and operations. He joined the coal industry in 1988 in the finance group of Luscar Ltd. and in 2001 was appointed its VP Marketing. In 2007, Bob was appointed Chief Commercial Officer of the coal business unit of Teck Resources, the world’s second largest coking coal exporter, responsible for all Teck’s coal marketing and transportation. In 2013 he set up his own consulting providing advice to the international coal industry and the North American shipping community. In addition, he has been the CEO of three junior coal companies. Gawiya has spent over a decade in the transportation and oil and gas industry beginning her career with Canadian Pacific Railway post-graduation from the University of Calgary Haskayne School of Business with a Bachelor of Commerce Degree. Working in various departments including service delivery, marketing, and sales, Gawiya gained experience dealing with some of Canada and North America’s largest shippers. In 2011 she moved to Husky Energy to manage their asphalt logistics and after growing the portfolio took on the challenge of leading Husky’s National Cardlock and Fleet Fuel Sales team travelling all across Canada. As the Senior Manager of Supply & Logistics for Husky, Gawiya leads multiple teams who manage the transportation of a wide scale of downstream commodities, providing market access to move Husky product throughout North America ensuring operational reliability and trading flexibility. 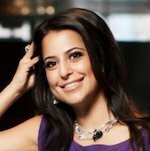 Amongst her purview of rail scheduling, terminalling and trucking, Gawiya also oversees areas of contract negotiations, transportation access to new markets, and management of rail car asset supply. Gawiya currently serves as the Chair of Husky’s TDG Steering Committee responsible for monitoring new and proposed regulations and policies related to the transportation of dangerous goods and emergency response action plans. As one of the Co-Founders of Ladies in Logistics, started in 2014, Gawiya and her Co-Founder saw a gap in the marketplace for females within the transportation and logistics industry and formed the non for profit group to bring together women of all ages and backgrounds who share the same passion and drive for a career in logistics. 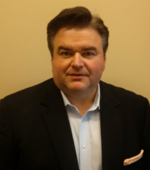 Over the last 20 years Gordon Lynch has performed various operations roles at Shell Canada, Vault Energy, and Devon Energy where he concentrated on facility commissioning and start up, sustaining capital projects, and operations leadership. Gordon then parlayed his field and leadership experience into the Manager of Inside Sales role with Jacobs Engineering in Calgary. In 2013 he transitioned to Suncor Energy where he and his team successfully lead efforts to reduce capital costs and increase the executional efficiency of Suncor’s sustaining well pad program. Currently, as Suncor’s Manager of Rail Assurance, Gordon leads the corporate and operational rail risk management for Suncor, which include a fleet of over 5,500 rail cars and over 20 sites across North America. Gordon is active on non-profit boards and is a member of the Emergency Response Association of Canada’s technical advisory committee. His education includes a Power Engineering Technology Diploma from the Northern Alberta Institute of Technology in addition to a Bachelors of Arts degree in Philosophy and an Executive MBA, both from the University of Calgary. Senior Manager, Logistics, Alberta-Pacific Forest Industries Ltd.
Ron is a customer-focused leader with more than 30 years of experience in cargo facility operations. His extensive experience includes a depth of understanding of commercial aspects of the industry including sectors such as rail, truck and terminal/transloading operations. Ron is also very familiar with International markets including the U.S. and Asia. Promoted to Senior Manager of Logistics in 2012, Ron joined Alberta-Pacific Forest Industries in 2008. In his current position, Ron primarily focuses on developing corporate input for national transportation policy issues and discerning potential new business opportunities. Building strong client relationships with strategies that meet customer’s needs while supporting corporate goals is one of Ron’s key strengths. A highly respected mentor, Ron’s excellent interpersonal and communication skills help him build teams that deliver exceptional results. Ron is a graduate of Western University, London Ontario. 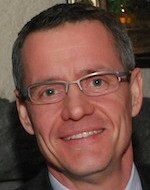 Mark is the President of the Mountain View Group – a premier transloading company with locations in Canada and the U.S. The company specializes in railcar loading/unloading, trucking, and the container loading of various industrial commodities. Prior to assuming his role at Mountain View, Mark was the GM of Transportation at West Fraser with oversight for all surface and marine transportation for all of West Fraser’s Canadian and U.S. Operations. He has been involved in the logistics field for more than 25 years with vast experience in domestic and overseas shipping, IT systems, and strategic market development. Mark is also an Advisor to Western Canadian Shippers’ Coalition’s Board of Directors and served as a Director from 2014 to 2017. He is also a former member of the Forest Products Association of Canada (FPAC) Transportation Subcommittee. In 2011, Mark was named to the Stakeholder’s Facilitation Committee as part of the National Rail Service Review conducted by the Government of Canada. In March of 2015, he was named to the Industry Advisory Committee to assist the appointed BC Trucking Commissioner who will have direct oversight for container drayage trucking in the Port Metro Vancouver. Mark attended both Simon Fraser University and BCIT majoring in business and IT systems. He obtained his Professional Logistics Designation (P.Log) in 2002. Lucia is a partner in McMillan’s Vancouver office and a member of the firm’s transportation group. Her practice focus includes rail transportation, aviation and trucking. Lucia advises and represents rail shippers in negotiations of rail transportation agreements, including rate and service matters, and agreements for the construction, acquisition and shared use of rail trackage. She has extensive experience in rail regulatory proceedings before the Canadian Transportation Agency and arbitrations relating to rail freight rates, service issues, interswitching and railway line discontinuance, as well as related judicial review and appellate proceedings. Lucia also advises clients on rail transportation policy. Lucia’s practice also includes advising clients on regulatory matters relating to aviation and truck transportation. Lucia has represented clients before the Canadian Transportation Agency, the Transportation Appeal Tribunal of Canada, the Manitoba Motor Transport Board, the Saskatchewan Highway Transport Board, all levels of court in Manitoba, the Federal Court and the Federal Court of Appeal. Lucia ’s other professional activities include teaching a course on legal issues in transportation for the Transport Institute, Asper School of Business, University of Manitoba. Her legal writing has been published in The Western Canada Highway News, and Grain Matters. Lucia is a member of the Law Society of Manitoba, Manitoba Bar Association, and Canadian Bar Association, and is a graduate of the University of Manitoba, receiving her B.A. (Hons.) in 1986 and her LL.B in 1997.